Supplementary to EMI/RFI/EMC Immunity of an Equipment. 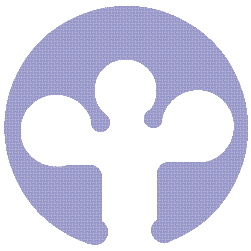 Many Installations are subject to Highly Disruptive Electrical Environment not just EMI. Depending on the budget and the situation a solution has to be found. Sometimes a CVT or an Isolation Transformer can do a lot of good. Converting all Energy inputs to battery energy and having a Isolated Synthetic Sine Supply may be an expensive but good solution. Either way the devices that face the harsh environment have to be over rated along with these protections. Abstract-This study examines the design and construction of AC Electronics load surge protection in order to carry electric surge load arisen from faults in low voltage electricity system (single phase/220V) by using the principle of electronics load clamping voltage during induction period so that electric voltage could go through to safe load and continue to work. The qualification of the designed device could prevent both transient over voltage and voltage swell. See a product from the MTL Instruments Group. They have a Comprehensive range of surge protection devices offering solutions for all mains power, process control, network and communications, telecom, wireless and RF systems. The ZoneMaster Series is available in units with either a 200 or 170kA surge handling capability. 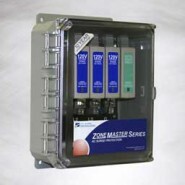 ZoneMaster is engineered to protect the most critical electronic systems, suppressing surges at the main service panel.